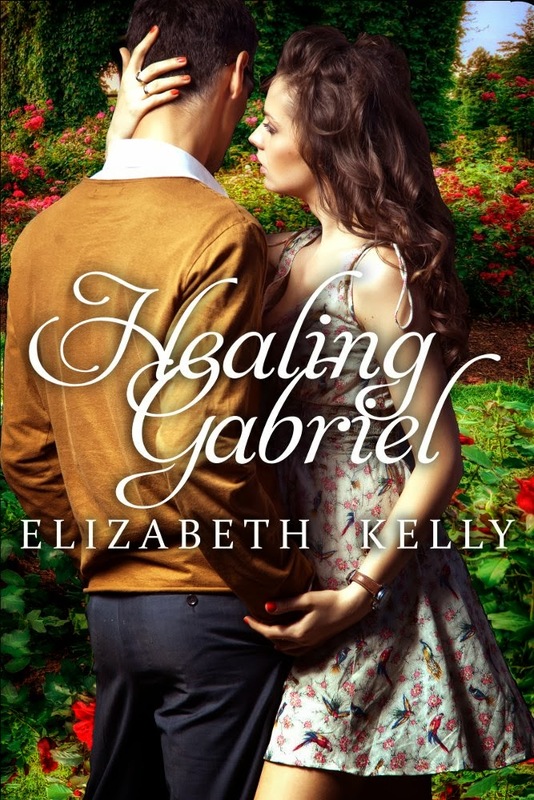 Elizabeth Kelly's latest novel "Healing Gabriel"
With that in mind, to celebrate the release of Red Moon Rising, I'm doing a last-minute giveaway (because I'm wild and crazy like that...and also I love free stuff). If you'd like the chance to win a free copy of Red Moon Rising, just leave a comment on this post. The contest is open until, oh I don't know - let's say midnight (pacific time) tonight. Tomorrow, a random comment will be picked and I'll announce the winner on the blog. The winner will be emailed a PDF copy of Red Moon Rising. I am on fire waiting for Red Moon Rising! Impatiently waiting for Red Moon Rising!!! Red Moon was incredible so I know this one will be amazing!!! I've been waiting to read about James and Nicky since reading the excerpt. (Also hoping Mrs. Lanning's ate the rest of her humble pie by now). Thanks for keeping us entertained, Elizabeth. I loved Red Moon and cannot wait to read Red Moon Rising. SUPER EXCITED.....YAY! Welcome! 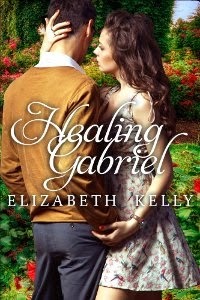 My name is Elizabeth Kelly and I'm a romance novelist. I'm also Canadian. And possibly (definitely) addicted to Pop Tarts. I grew up in Ontario, Canada and now live in Alberta with my husband Ben and my cat Murray. Ben is awesome and fully supports my obsession with writing. Murray is not quite as supportive and spends a good deal of time lying on my keyboard while I'm trying to write. He does, however, appreciate the crumbs from my Pop Tarts. I realized I was meant to be a writer when I discovered that other people didn't spend their free time making up elaborate stories in their head. It took me awhile to figure out that the stories didn't have to stay in my head and that writing them out felt much better than having them clattering around in my brain. A romantic at heart, it made sense that the stories I would be drawn to write would be romance. I'm also unabashedly in love with the idea of Happily Ever After, so rest assured that my books will always have a happy ending. I love interacting with readers so feel free to contact me using the form at the bottom of the website or just drop me an email at elizabethkellybooks @ gmail . com. I'm so thrilled to have you join me on this journey! Happy Reading! To live content with small means; to seek elegance rather than luxury, and refinement rather than fashion; to be worthy, not respectable, and wealthy, not, rich; to listen to stars and birds, babes and sages, with open heart; to study hard; to think quietly, act frankly, talk gently, await occasions, hurry never; in a word, to let the spiritual, unbidden and unconscious, grow up through the common--this is my symphony. 2013 ElizabethKelly. Watermark theme. Powered by Blogger.